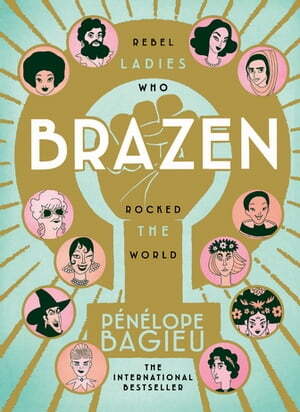 Collins Booksellers - Brazen by Pénélope Bagieu, 9781473558939. Buy this book online. Immerse yourself in the captivating adventures of some of history’s unsung heroines, whose stories are told through engaging voices, dazzling drawings and with startling wit. Discover the life of an apache warrior dubbed “strong as a man and braver than most of them”, the only female Empress of China, three rebel sisters who toppled a fascist regime, a dancer who escaped poverty in America to become the darling of the Paris jazz scene and a resistance fighter, and a little girl who grew up to realise that being a witch is better than being a princess. Take in the stories of volcanologists, astronauts, animal whisperers, activists and explorers and feel ready to take on the world. Illustrated by award-winning Parisian artist Pénélope Bagieu, humorous dialogue and uncommon true tales make Brazen an ideal book for anyone who loves trail blazers and courageous women, from Goodnight Stories for Rebel Girls to The Handmaid’s Tale.